There’s exciting events on the horizon for the Calderdale region and our wonderful town of Halifax is central to the plans. 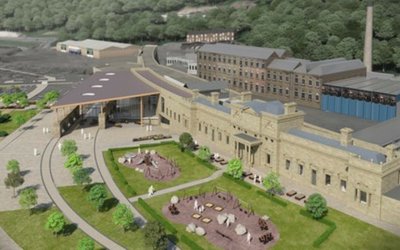 As part of a £58 million plan, over the next few months, Halifax will see a major revamp. Calderdale Council have said there will be “once-in-a-lifetime travel improvements and regeneration in Halifax town centre”. We’ve already seen the conservation and transformation of the Piece Hall and New Central Library and Archive, with the Halifax Town Centre Office Strategy nearing completion. Work to reduce congestion on the A629 route between Halifax and Huddersfield town centres, which is part of the West Yorkshire Combined Authority’s Transport Fund programme. Improvements to specific areas of Halifax town centre, including Church Street, Bank Bottom, Charlestown Road, North Bridge, Broad Street, Market Street, Wards End, Bull Green and Cow Green. How will the people of Halifax benefit? Plans for better cycling facilities and footpaths in the town centre, as well as improvements to bus routes and on-street infrastructure mean it should be easier to make our way around the town, by whatever mode of transport we choose. The new town centre scheme will reduce congestion and make it easier for people to get into and around the town centre. Not only do the plans mean that the practicalities are taken care of, such as reducing congestion and making it easier to move around the town, but they will also make it more visually attractive. Halifax contains many historic buildings and stunning architecture and it will be lovely to see some of them returned to their former glory. Building on our heritage should also boost visitor numbers which is great for local businesses and for those looking for employment here, and for making our town a more vibrant place to live and work. Calderdale Council’s vision is to “grow the economy, reduce inequality and build a sustainable future”. It’ll be exciting to see the plans to make Calderdale an even better place to live and work unfold. Read more about Calderdale Council’s plans.